Malta Map Society Committee Members Joseph Schiro and Bernadine Scicluna have been invited by the Minister of Culture of the Czech Republic, Ph Dr. Ilja Smid, for the ceremonial handover of the certificates of Memory of the World International Register confirming the inscription of Giovanni Francesco Camocio's maps of the Great Siege of Malta of 1565 to the prestigious Memory of the World Register for the preservation of this exceptional documentary heritage. The nomination of the Camocio maps was prepared as a transnational nomination from Malta and the Czech Republic through the cooperation of the Museum of Fine Arts in Valletta and Charles University in Prague. The ceremony will be held on 5 April 2018 at 11.30 at the Nosticky Palace, Prague. Both parties will be delivering speeches during the ceremony. The discovery in 2013 of State 2 of the Great Siege of Malta Map by Giovanni Francesco Camocio [fl. second half 16th century] at the Charles University Map Collection in Prague provided the unique opportunity for it to be linked with States 1, 3 and 4 found at the Cartographic Collection at the National Museum of Fine Arts, Valletta, Malta. This significant merge thus permanently sealed this four-state series of Great Siege maps. In their intact state, they collectively fill one of the many lacunae in the visual chronicle of the well-known Great Siege of Malta of 1565. Should one of the states be lost or damaged, the integrity of this series would be irreparably compromised. It cannot be emphasized enough that Great Siege maps are precious primary sources that act as the visual equivalent to written accounts of this battle, which determined the course of the history of the Mediterranean and Europe in the 16th century. In view of this, the virtual amalgamation of States 1, 3 and 4 with State 2 is effective in bringing together two overseas institutions sharing the common goal of educating and empowering the public. Year of submission to the Memory of the World Register: 2016; year of inscription: 2017. The project will look at the transition from water to steam power in 19th century Scotland, very much using the Ordnance Survey's first and second edition maps to document locations and changing distributions of mills. The 3-year PhD is also supplemented by a six-month studentship project which will create a new, publicly-accessible web-based resource to ensure that the main results of the research are available widely. The project will be supervised by Dr Simon Naylor and Professor Paul Bishop, both at the University of Glasgow; Dr Miles Oglethorpe, Head of Industrial Heritage at HES is also co-supervising the project. Funding is available to cover home tuition fees for UK or EU applicants for 3.5 years. A stipend is also available for students who have been resident in the UK for 3 years prior to the award (GBP 14 777.00 for Session 2018-19). Maps have long been used to bring imaginary places to life, from Thomas More's Utopia to J.R.R. Tolkien's Middle Earth. But the role of the imagination in mapping extends well beyond the depiction of fantasy realms. This conference—co-organized by the Global History and Culture Centre at the University of Warwick and the History Department of Stanford University—is designed to showcase research and facilitate conversation about the role of the imagination in the cartographic enterprise writ large. On dit de cet ouvrage qu’il est l’aperçu le plus ambitieux de la cartographie jamais entrepris, l’Histoire de la Cartographie (The History of Cartography) est mis à disposition gratuitement sur le web. Les Presses de l’Université de Chicago ont mis en ligne les trois premiers volumes de ce livre d’exception. Le premier volume qui constitue The History of Cartography a été publié en 1987, la publication du second (divisé en trois) a été achevée en 1998. Le troisième date de 2007. 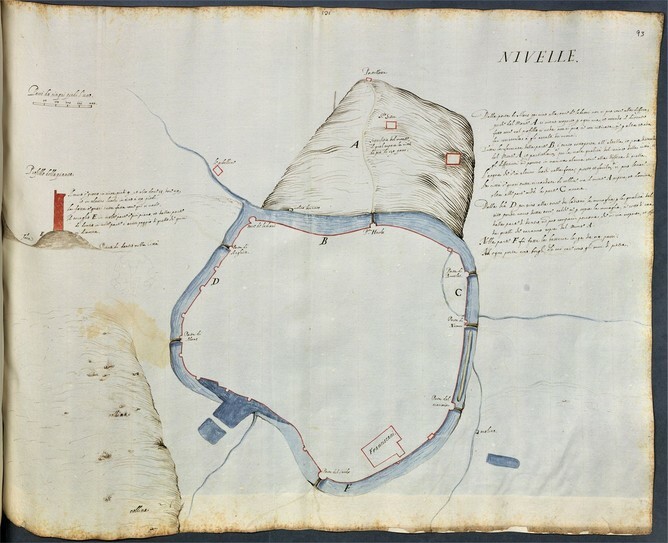 Il s’agit d’une collection assez incroyable qui vient d’être mise en ligne puisqu’elle constitue une révolution dans le monde de la cartographie, c’est le plus ambitieux ouvrage du genre, il regroupe une quantité d’images en haute résolution impressionnante, retraçant l’histoire de la discipline à travers des cartes de plusieurs siècles. Edward Rothsein du New York Times expliquait l’importance de la cartographie dans la manière de percevoir le monde et comment les éléments sont connectés entre eux. Culture, science, religion, il est possible de voir la place de chacune de ces entités à travers les cartes d’époque. En réunissant autant de visions du monde différentes, The History of Cartography est l’ouvrage cartographique le plus ambitieux jamais entrepris jusqu’à maintenant. Retrouvez l’ouvrage divisé en volumes, le tout disponible en PDF haute qualité sur le site des Presses de l’Université de Chicago 1. On 20 January 2018, on the channel La Une of the RTBF television-station, the public broadcasting organization of the French Community of Belgium, our friend Colin Dupont, from the Royal Library of Belgium, introduced a short film about Jacob Roelofs van Deventer, a cartographer born in 1500/1505 in Kampen and deceased in 1575 in Cologne. In the course of fifteen years, he created between 250 and 260 city maps, covering an area from Friesland to what is today the north of France, and reaching into Luxembourg and the west of Germany.